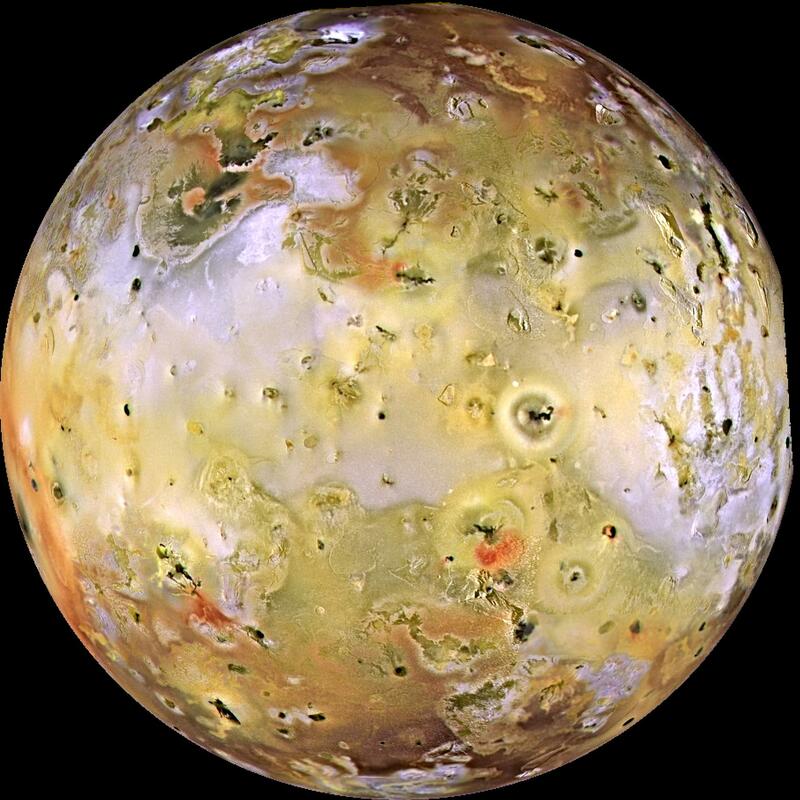 Jupiter’s moon Io is the most geologically active body in the solar system. All the colouring visible in this image is the result of eruptions on this small moon. The colour is due to the presence of sulfur compounds. It is thought that there could be as many as 300 active volcanoes on Io. It is estimated that these volcanoes eject enough material to cover the moons surface to a depth of 1 metre every century. Prior to the flyby of Voyager 1 in 1979 it was thought that this moon would be a dead body with ancient cratering. We now know that Jupiter’s gravity has a great influence on Io. As the moon orbits it is slightly influenced by the planets other moons which does not allow the moon to become tidally looked with the planet. As a result the planet is subjected to tidal forces that cause heating in the moon’s interior. This drives the volcanism observed on Io.